Al Hartmann | The Salt Lake Tribune Kevin Ray, risk management coordinator for Canyon School District takes early morning water sample from one of hallway drinking fountains at Edgemont Elementary School early in the morning Wed. March 30 before students arrive. For an unknown reason at the time there was a cloud or steam as the water first came out of the fountain. The most common cause of lead poisoning is old corroded pipes that are basically rusting metals into the water. Lead pipes are now banned in the US, but at least 58 percent of Utah's schools were built before that law went into effect. In 1988, congress passed a law charging schools with identifying and rectifying lead contamination and pipe corrosion, but according to the EPA this law is essential impossible to enforce and is not widely implemented. At least some level of lead has turned up in the drinking water at nearly 90 percent of the 249 Utah schools that have been tested — with the worst results more than five times higher than key federal limits, according to state data. The drinking water in nine schools, six of which are in the Granite School District, was found to contain levels of lead that exceed the Environmental Protection Agency’s “action level” of 15 micrograms per liter. Most of the drinking-water systems tested contain only low levels of the toxic metal, which is nonetheless known to cause developmental delays in young children. But just 25 of those 249 schools have entirely lead-free drinking water. Parents should be aware of lead-tainted water at their child’s school, but not panic, said a top Utah health expert. Lead poisoning is rarely an acute condition that develops as a result of a single exposure, said Zane Horowitz, medical director for Utah Poison Control. About a quarter of the state’s schools have been tested so far. The preliminary results have prompted state officials to urge all of Utah’s public schools to check their water supplies voluntarily. Federal rules require regular testing of residential water systems and, if needed, action to eliminate lead, but schools do not face similar requirements. All school lead-testing results are listed online by the Utah Division of Drinking Water. Granite schools exceeding the EPA’s lead standards were Beehive Elementary; Calvin S. Elementary; Gerald Wright Elementary; Granite Technical Institute; Silver Hills Elementary; and William Penn Elementary. Others with actionable levels were Bear River Middle School and Willard Elementary in Box Elder School District, and North Summit Elementary in Coalville. School-specific test results obtained by The Salt Lake Tribune from the Utah Division of Drinking Water show that samples from some of the nine schools with actionable contamination levels contained exceptionally high lead levels. At Granite’s Gearld Wright Elementary School in West Valley City, a water sample collected late last spring contained 76.3 micrograms of lead per liter — more than twice the amount of the next highest test result, which was collected at the Granite Technical Institute in South Salt Lake. But according to state data, a subsequent series of samples from Granite schools found drinking water in some buildings contained tens of thousands of micrograms of lead. Officials later discovered that water samples were collected after the buildings had sat mostly vacant for a period of time, allowing lead to accumulate in stagnant water held in the plumbing system. Because school was not in session, Owens said state officials do not believe the test results reflect lead levels in the schools’ drinking water when classes are in session. North Summit School • 32.8 micrograms of lead per liter • The sink from which the sample was collected has been replaced, and further testing is pending. Granite Technical Institute • 33.173 micrograms of lead per liter • The school’s plumbing has been flushed, but new test results are still pending. William Penn School • 24.94 micrograms of lead per liter • After the school’s plumbing was flushed, the highest concentration of lead detected fell to below the EPA’s action level. Calvin S. Smith Elementary School • 26.704 micrograms of lead per liter • After the school’s plumbing was flushed, the highest concentration of lead detected fell to below the EPA’s action level. Beehive Elementary School • 16.001 micrograms of lead per liter • After the school’s plumbing was flushed, the highest concentration of lead detected fell to below the EPA’s action level. Silver Hills School • 16.583 micrograms of lead per liter • After the school’s plumbing was flushed, the highest concentration of lead detected fell to below the EPA’s action level. Gearld Wright School • 76.31 micrograms of lead per liter • After the school’s plumbing was flushed, the highest concentration of lead detected fell to below the EPA’s action level. But the numbers have persuaded the state to closely watch the Granite schools — William Penn Elementary, Magna Elementary, Beehive Elementary, Silver Hills Elementary, and Calvin S. Smith Elementary — to ensure their water systems are flushed regularly and are not allowed to stagnate during weekends or holidays. Magna Elementary is listed on the state’s online database as having exceeded the EPA threshold to indicate the state’s desire to monitor that school, even though its initial test data did not contain more than 15 micrograms of lead per liter. “We should know that these schools have the potential to have a problem,” said Owens, who added that more testing would be required to determine how long water can remain stagnant before lead levels become a problem. With the exception of Granite’s Magna Elementary, Owens said all of the disproportionately high samples came from a single source within the school, usually a kitchen or utility sink — indicating the lead problems might not be spread through the entire building. Test results at Magna Elementary were more consistent irrespective of the source, suggesting the possibility of widespread corrosion. Granite School District spokesman Ben Horsley said the district has hired a full-time water technician to address the lead problem. Horsely said the employee is tasked with monitoring and flushing school drinking-water systems to prevent lead and other contaminants from accumulating while school is in session. He will remain on the district’s payroll, Horsley said, until its lead problem is permanently resolved by remodeling the school’s plumbing systems. Granite School District will put a $238 million bond before voters this November. If approved, the measure will pay to rebuild 14 schools and renovate 17 others in the next decade — as well as replace antiquated plumbing and fixtures flagged as a result of lead testing. “We hope voters approve it,” Horsley said. Though lead poisoning risks from drinking water are low, Horowitz with Utah Poison Control, said parents with major concerns might consider discussing testing for lead poisoning with their child’s pediatrician. But unless children are guzzling gallons of water at school, it’s unlikely they could be exposed to enough lead to develop symptoms. Lead poisoning, he said, is more commonly linked to lead-painted dinnerware, contaminated medicinal herbs or cosmetics. 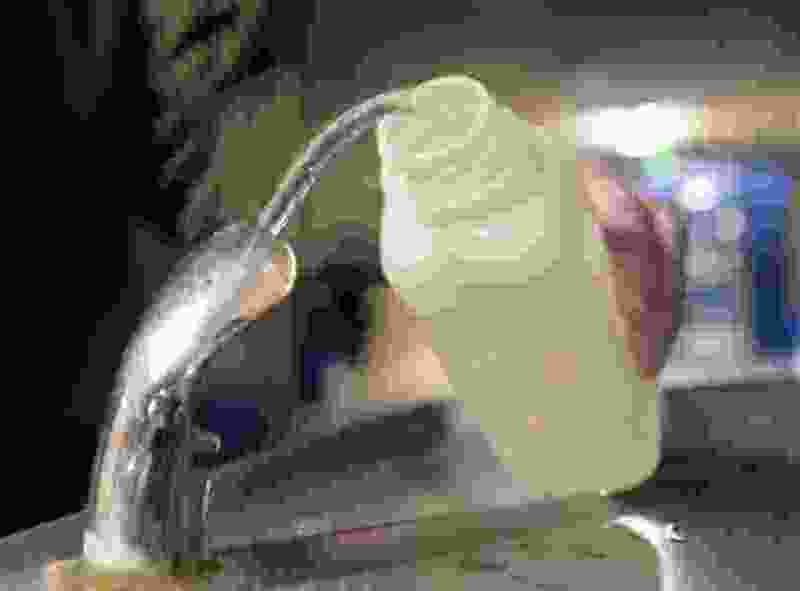 Tainted drinking water is considered a more significant issue for infants and children under two years of age, Horowitz said, because their diet may consist almost exclusively of formula prepared with tap water. In rare cases in which a child consumes a large amount of lead — say, by swallowing a small toy or trinket — children can develop lead poisoning symptoms in less than a week. And in such cases of significant lead exposure, Horowitz said anemia is usually the first observed symptom. Because the onset of lead poisoning is gradual, he said, affected children are unlikely to show noticeable symptoms. Horowitz also suggested that schools with high lead contamination consider temporarily taking the faucets and other fixtures with the highest test results off line, pending a permanent remedy.